With Street Fighter IV the classic Capcom franchise enjoyed a fantastic comeback and several different games were since then released or are in development. But for those searching for the classic retro look of Street Fighter 2 there are some wonderful tributes such as this Street Fighter Legends, another free fighting game created with the MUGEN engine. 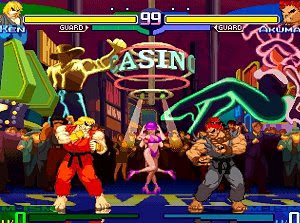 The game offers 25 fighters with all of the favorites such as Ken, Ryu, Blanka, Chun-Li or Guile, all created with great visual care, smooth animation and complete respect for the series legacy. Those who love fighting games such as Street Fighter, Mortal Kombat or King of the Streets are sure to enjoy this game.